EVGA has announced their new B3 line of affordable PSU, offering 80+ Bronze efficiency and range from prices of $40-85 for 450W-850W models. 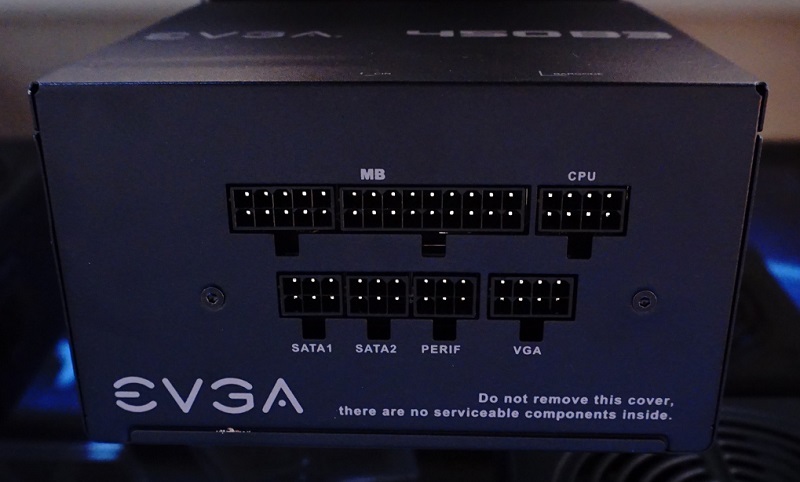 Read more on EVGA's B3 line of affordable PSUs. Best looking PSU's on the market. EVGA show off their new Z270 motherboard and same again EVGA make the best looking motherboards on the market and no RGB LED....YES finally a company who listens to their fan base and not giving in to the RGB hype not like other companies. Haha yeah that sticker is a bit "in your face". I forgot I don't see posts from King of Old school. Was wondering when he was going to post and say how good this was. Never mind its a budget PSU. I wonder why we still have bronze efficiency ratings in this day and age. Well then if you have me on the ignore list well that's where your going as well. What's going on... I find myself agreeing with you way too much these days haha. Yep I think the best selling feature for me is a good highly optimised and customisable BIOS. What good is a board that looks good, and overclocks with a mediocre amount when you can't tweak the living hell out of it. It could be simply that i am just used to the ASUS Bios now. Since each new chipset, the revisions are similar. Allows me to just jump right in and have fun. I tried Gigabyte and also MSi but they felt a little too clunky for me. This was on Z77 though so that's quite some time ago.